Vassar's athletic tradition began with the college's foundation. In the nineteenth century, common speculation maintained that college attendance would lead to female infertility. Because the human body was a closed energy system, the theory ran, if women devoted too much energy to thinking, it would detract from their ability to reproduce. To dispell such speculation, Matthew Vassar had to ensure that the women at his college remained healthy. He believed that physical activity would bring balance to the students' lives: it would ensure that they paid adequate attention to their health and did not over-exert themselves in their studies. The boats were flat-bottomed and awkward to paddle. Modern college students no longer confront that misguided prejudice, but physical activity is still part of any student's college career. The Athletics Department 's mission statement declares, "Vassar College is committed to providing challenging athletic opportunities through a comprehensive educational program, which will facilitate a positive and healthy life experience." Although athletics at Vassar have changed considerably over time, their place in the college curriculum is not entirely different than it was when the college opened. Gymnastics class modeled on Dr. Dio Lewis's teachings formed the core of Vassar's first athletics program. An innovator in the nineteenth century, Lewis employed "light gymnastics" that focused on increasing endurance, speed, and agility rather than merely strength. Implemented in the college's first year, the class used basic exercises set to music that taught students how to move and stand correctly. While these classes began in Main, they soon moved to the new Callisthenium and Riding Academy-later called Avery Hall. Now, the original face of the building is incorporated into the Center for Drama and Film. The first gymnasium at a women's college in the country, the Callisthenium, contained light weights and exercise equipment surrounded by the riding ring. One of Vassar's last baseball teams, The Resolutes, in 1876. More conventional exercise was important too. Both at school and on vacation, students had to spend an hour each day engaged in some sort of physical activity. Unless the weather was particularly unpleasant, this activity had to occur outdoors. 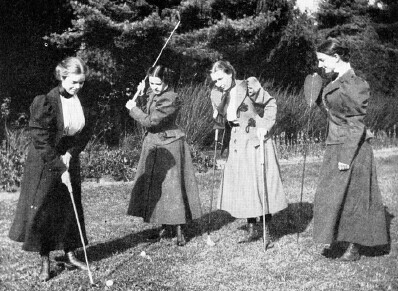 While many girls enjoyed the long walks they took through the orchards and fields surrounding the college, less athletically inclined students complained bitterly about obligatory exercise in letters home. The college encouraged sports, too, even if it doubted the merits of competition. Students played in the enclosed Athletic (now Noyes) Circle. Its trees and bushes sheltered the female athletes from prying eyes. In 1866, the students founded croquet, archery, and rowing clubs. Riding too was popular until the college closed the ring in 1874, citing excessive expenses. In the winter, skating and tobogganing became exciting diversions. There was even a baseball club playing as early as 1866. At one point, there were as many as seven teams, although public censure of the rough and "plebian" nature of the sport led to its discontinuation in 1877. The college strictly regulated these athletic clubs in the early years. In 1876, students were grouped into three levels of athletic ability that determined which sports they could play. 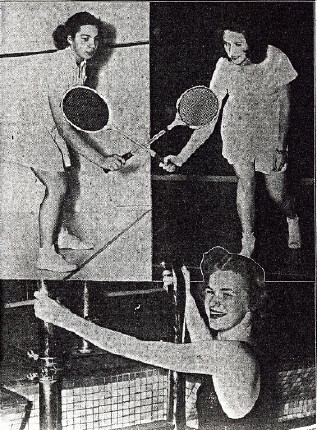 As new sports developed, students usually had to display a certain level of physical fitness before the college allowed them to participate. And new sports continued to come in. Tennis, introduced to the United States in 1874, became popular in 1879. While the strength of the club varied over the years, it was one of the first of its kind organized in the country. Basketball came slightly later, but it was destined to become one of the most popular sports at Vassar for many years. In 1889, the college put students in charge of all sports outside physical education classes. Initially, students lacked the administrative and financial structures to carry out their new responsibilities. The establishment of the Athletic Association in 1894, however, vastly improved the situation. Run by students, it provided more organization for already existing sports while sponsoring new ones such as golf, battle-ball, bicycling, and tricycling. Despite the movement towards more competitive sports that the founding of the Athletic Association symbolized, competition continued to make a number of administrators nervous. Practicing sports to hone physical condition was an acceptable and even desirable enterprise, but until the 1920s, the college's commitment to intercollegiate competition remained ambivalent. While the administration allowed Vassar teams to form, it often forced them to turn down invitations from other schools to compete. Notwithstanding this discouragement from the administration, in November of 1895 the Athletic Association organized the first collegiate field day in America. Athletic facilities were also changing. It became clear in the late eighties that the Callithesenium was no longer adequate for the needs of Vassar students. 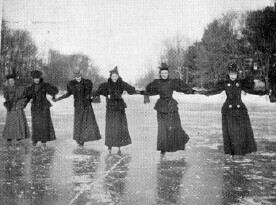 As the Vassar alumna Florence Cushing stated at an alumnae meeting in 1883, Vassar was losing its athletic edge over other women's schools. The students were "longing for something new." To remedy the situation, the alumnae funded a new gymnasium in 1889. The Alumnae Gym, which still stands at Vassar as Ely Hall, boasted a swimming tank, a lyceum, an apparatus room, and Vassar's first showers. 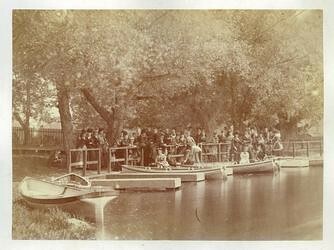 Swimming immediately became popular, although the swimsuits would probably be unrecognizable to a modern observer: the students "wore long black stockings and heavy cotton suits, which they dried over the railings between sessions." The college added new playing fields as well, and in 1896 constructed a golf course behind the athletic circle for the newly formed golf club. Unfortunately, the construction of Davison and Lathrop destroyed it shortly thereafter. More sports developed as Vassar moved into the twentieth century. 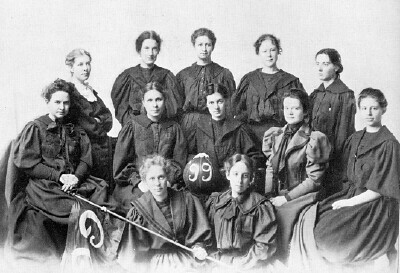 Field hockey, brought to Vassar from England by Miss Constance Applebee in 1902, immediately became and remained wildly popular. In 1913, the faculty made it illegal for freshmen to join both the field hockey and basketball team, which indicates that students were spending too much time practicing and not enough time studying. Lacrosse and fencing also enjoyed some success, although neither developed even into class teams until the 1920's. In 1914, the college created a separate dining menu for its student athletes. Although team members had obeyed earlier curfews and endured some dietary restrictions for some time, the college had never approached athletic nutrition in a coherent, unified way. The Poughkeepsie press remarked in October of 1914, "For the first time Vassar College set tonight separate tables with a special menu for the students going in for athletics. The girl athletes took their places at these tables with smiles of pride but much of their gladness disappeared when it was found that the menu excluded pastry and the goodies dear to the college girl's heart. When the dessert passed by to the other table one of the members of the hockey team murmured, "I love my hockey; but oh, for pumpkin pie!" Nor were the rigid diet rules to be upset by feasts on lemon souffle and chocolate eclairs at nocturnal spreads. The captains of the teams, moreover, have ordered that the gong, which regularly sounds in the college at 9:30 p.m., is to be the would-be athletes' curfew." Although the success of these rules is highly debatable, their implementation denotes an interest in a holistic approach to athletics. Henry Noble MacCracken's presidency saw many improvements in the athletics program. An avid tennis player, he wanted to modernize Vassar's athletic program. He said, in an article discussing athletics, "[Physical education] should be an art, yielding the same elation to the skilled practitioner, as does music or painting and holding a proper place as an art in the curriculum." With the new head of the physical education department, Alice Belding, he restructured the physical education system. Instruction now began with "Fundamentals" freshman year, which taught "fundamental body movements" and specifically attempted to train the body to move and operate more efficiently and gracefully. By the late 1920's, it became clear to MacCracken that the athletic needs of the college outstripped the capabilities of the Alumnae Gym. With Belding, he met with the trustees to propose plans for a new gymnasium. In 1933, Vassar constructed Kenyon Hall, a fully modern building containing an extensive playing space, including a seventy-five foot pool and clay courts where the International Squash court is now. Much of its form responded to Belding's and MacCracken's respective visions of the ideal modern athletic facility. The college built clay tennis courts next to Josselyn, new playing fields, and a new golf course beyond Sunset Hill to complement its construction. With the cooperation of the Athletic Association, MacCracken also began to support more competition. Many class and dorm teams formed during the 1920's and 30's with his encouragement. To stimulate these developments, he established the Theodore Roosevelt Athletic Cup in 1923, awarded to the class that won the highest number of points in interclass competition. In 1939, he also established the Interhall Cup, awarded to the dormitory that won the largest number of points in interdorm competitions. These cups existed through the fifties and into the sixties, only disappearing with the end of class and dorm based competitions. During his presidency, intercollegiate competition also increased dramatically. The mention of baseball at Vassar in a letter home from Annie Glidden, a Vassar student in 1866, is recognized as the earliest historical record of women's baseball. "Athletics," Subject File 23.94, Special Collections, Vassar College Archives. Ballintine, Harriet. "Sports in Vassar College," compiled from "The History of Athletics by M. Litchfield M. Mallon." Vassar Miscellany News, October 1915. Brown, Mabel Welton. "Letter to the Physical Education Department," provided by Ruth Timm 30 March 1976. Daniels, Elizabeth and Andrew Jennings. "Healthy Minds, Healthy Bodies." Primary Sources. Vassar College: Alumni Newsletter, 1995. Halsted, Carol. "What a Girl Does At College: The Athletic Side." Ladies Home Journal. January 1902: 24-25. Hughes, Larry. 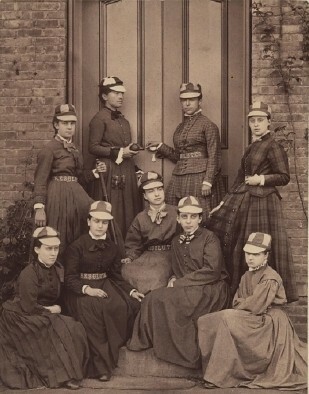 "Vassar women blazed baseball trail in 1870s." Poughkeepsie Journal. 18 December 1992: G: 2-6. MacCracken, Henry Noble. "Grace and Skill Replacing Power." Murray, Jimmy. "Seven Sports are Featured in Winter Schedule, Eight Others Planned for Spring." Hudson Valley Sunday Courier 8 February 1942. Smith, Gene. "The Girls of Summer." American Heritage. July-August 1994: 110-111. "What Are They Doing At Vassar?" Scribner's Monthly. August 1871: 337-353.